There aren't enough food, service, value or atmosphere ratings for Cafe Segafredo, Austria yet. Be one of the first to write a review! Wonderful outdoor patio and very good service. My friend had the spinach dimples with vegetables roasted in olive. I had a roasted chicken and bacon sandwich, it was great. A very pleasant place for lunch. If in Salzburg, need to try this place. Very nice place with nice atmosphere, ts good because they have both smoking and non-smoking room. You can chose from many types of coffee and cakes, and ice -creams. Also every day they have special promotions on cocktails. 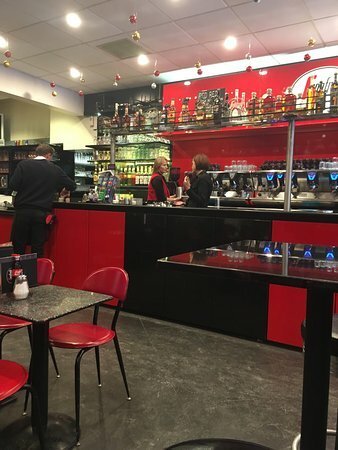 Get quick answers from Cafe Segafredo staff and past visitors.